You’re supposed to have a consistent brand for your blog. When you aren’t a graphic designer, this can be quite difficult. When I started out, my pictures were all over the place. I had no clue how to make fancy images that stand out on Pinterest. Heck, I was just trying to learn all the pieces of blogging! I’ve come a long way and have learned a ton about how to design images in Stencil, Canva, and even Photoshop. I found myself avoiding the work. I felt a lot of resistance to creating images, which stalled my blog growth. Creating images felt overwhelming. I just didn’t know how to do it consistently. I’d say the images I created look ok. They’re not terrible, but they certainly aren’t fancy and don’t stick out from others’ Pinterest images. Since Pinterest is my number one social media platform for my blog, it’s important I get this right. There’s something to be said for learning new skills. I believe it is important to at least know a bit about each of your blog tasks. I’ve taken a few courses on graphic design and I recommend you do the same. Here is a FREE training on how to use Canva. This allows me to understand how to use the graphic design software I’ve been using as well as many other types of design software. But even though I know how to do it, it doesn’t come naturally to me. Don’t get me wrong, I have beautiful images to work with because I have a subscription allowing me access to thousands of styled stock photos. I recommend subscribing to a site like this because if you use free image sites you just never know if you might run into copyright issues. Also, look around. You’ll see so many people using those same exact pictures. You can’t stick out and be unique that way. So although I have beautiful photos to work with, I have a hard time putting the photos with text and other graphics in a unique way. (I mostly just take a picture and put words on it haha). So while I recommend learning graphic design, or whatever it is that you find difficult on your blog, I think there are other options. Learn the thing and then find a way to do less of it. There are a few options. You can find someone else to do the work for you or you can find someone to do templates for you. You can hire someone else to do your graphic design, whether it’s someone on a site like Fivrr, a Facebook group, or somewhere else. . You could hire them to do all of your images and graphics. This would be the most simple way to get things done because all of the work would be done for you. However, this could become quite expensive. I’ve chosen not to go this route for now, partly because of the expense and partly because it would mean planning in advance to order up the graphics when instead I just want to get my post out there when it’s done. Instead of outsourcing, I found something that helps me to create beautiful images that are essentially already done for me. This is called the Bloggers Template Toolkit and it includes over 200 done for you graphics, blog, social media, newsletter, sales pages, and more. The templates are categorized into different areas (Pinterest graphics, blog post graphics, for example) and each area has a how – to video that goes along with it so you can learn how to make the template work for you. In other words, the templates provide the overall design, but then you can change the colors, photography, font…whatever you want. And Kara (the creator of the templates) shows you how to do this in the videos. Lead Magnets:Worksheet templates that are created for you. Thank goodness! Worksheets are hard to do. This helps so much. I’ve already started to fix some of my downloads. Monetization: Templates for things like landing pages, products, courses. She created beautiful slide templates you can use for your course. All of the templates are in Canva, which means you can use them on a free account. If she used something that requires a fee, you can just change it out. I was using the slide templates for a presentation I was doing last week and noticed one of the graphics would cost $1 to use. I chose to use a different graphic that I owned. You can get great deals on graphics at Hungry Jpeg or Creative Market. I highly recommend purchasing the Complete Blogger’s Template Toolkit today. 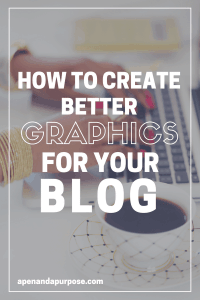 This will get you further along on your blog because the graphics are already put together for you.